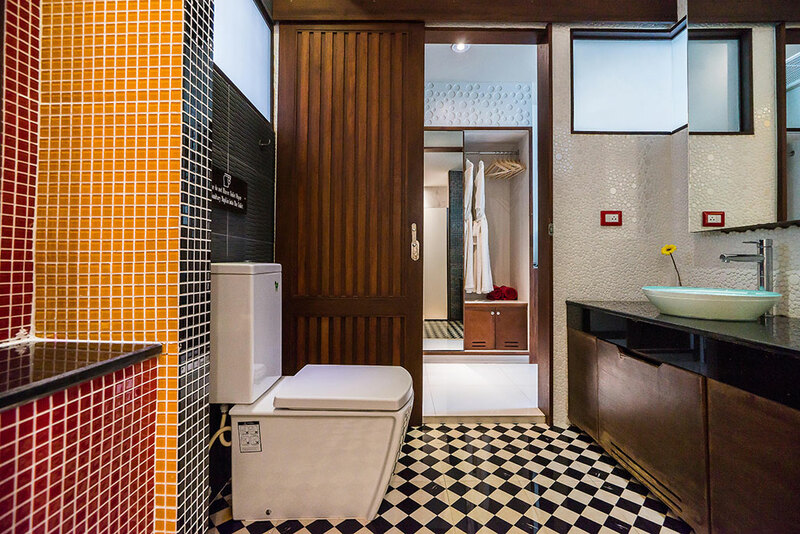 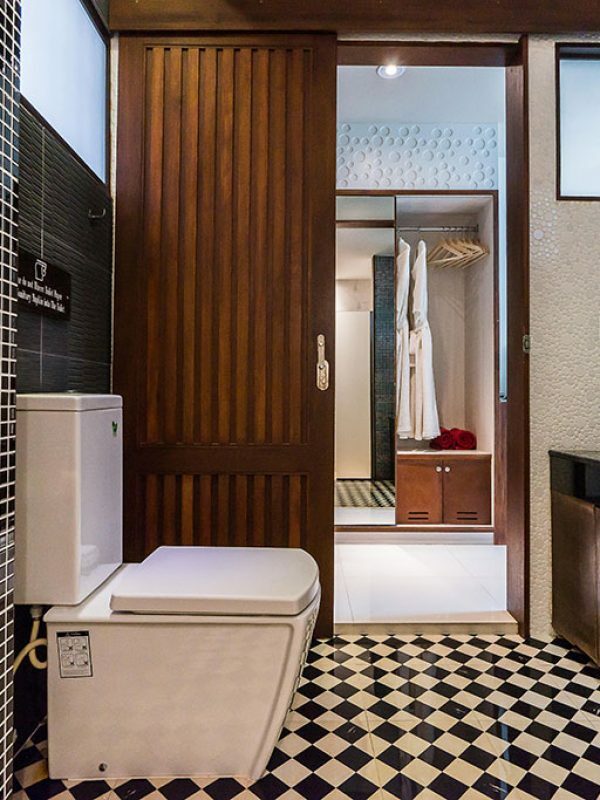 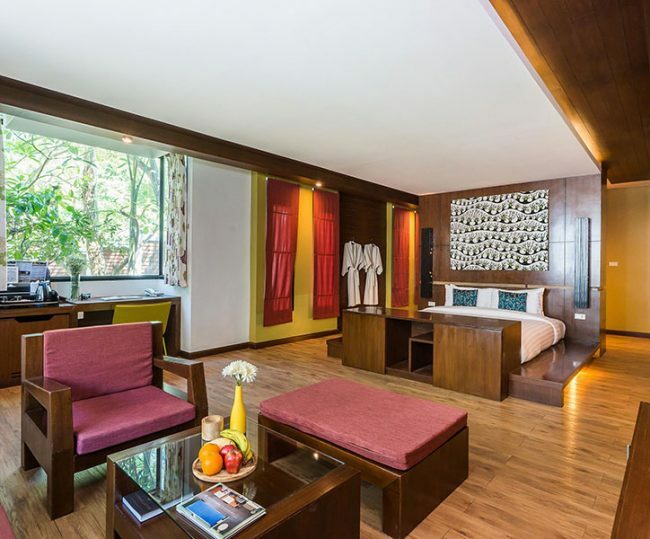 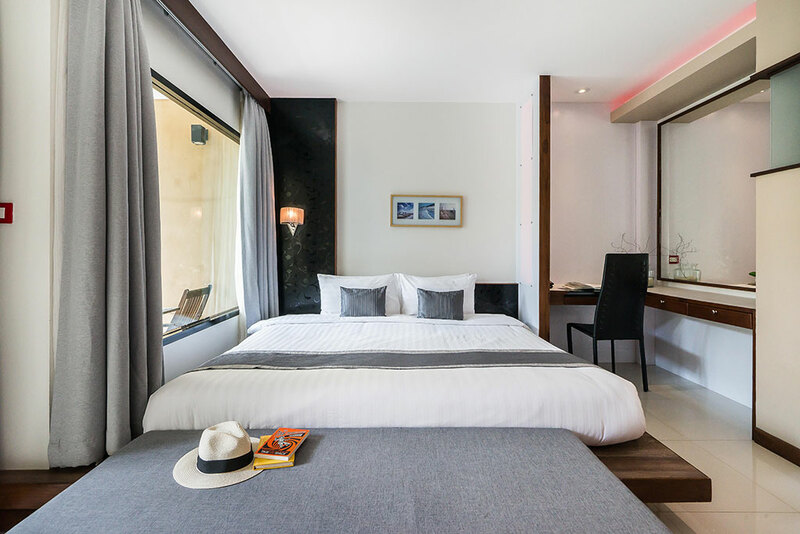 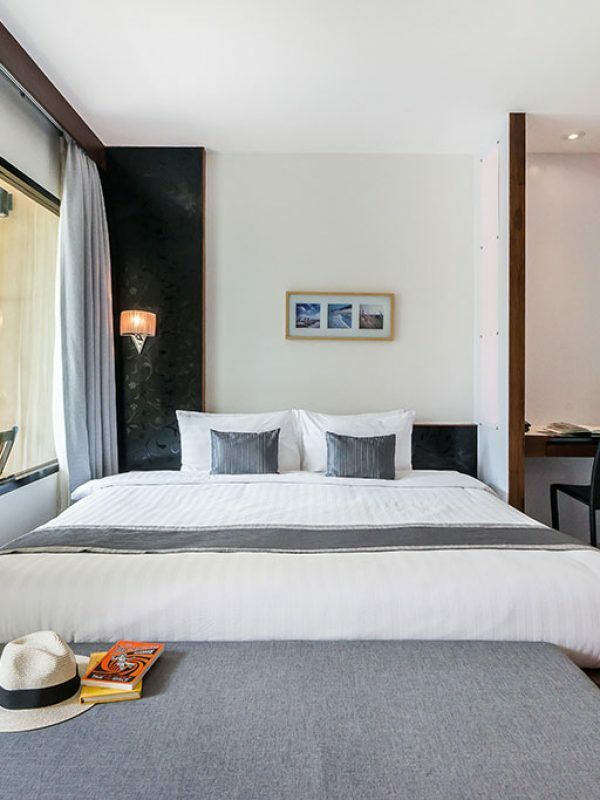 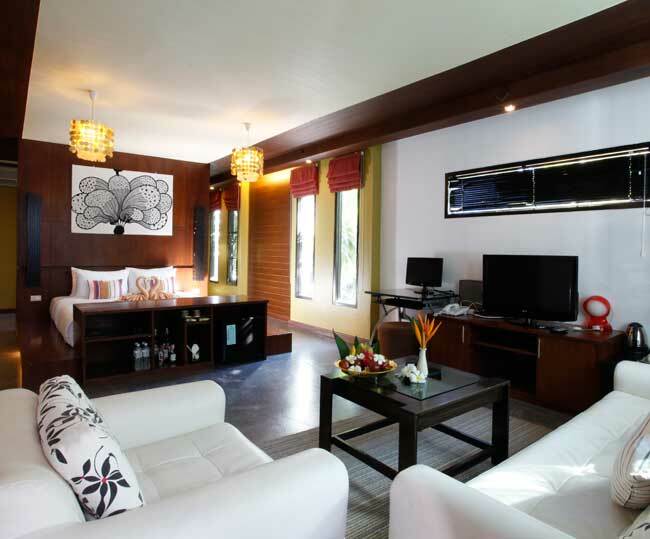 The contemporary style Deluxe Room is 30sqm and is located in the resort building overlooking the pool with partial views of the stunning beachfront from the balcony. 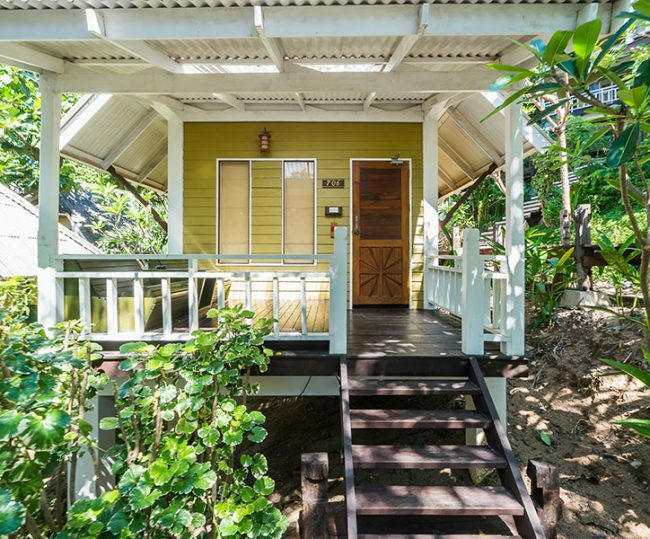 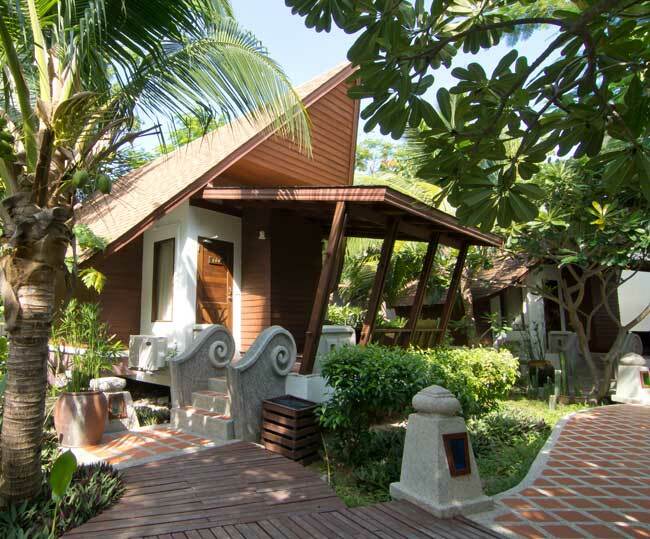 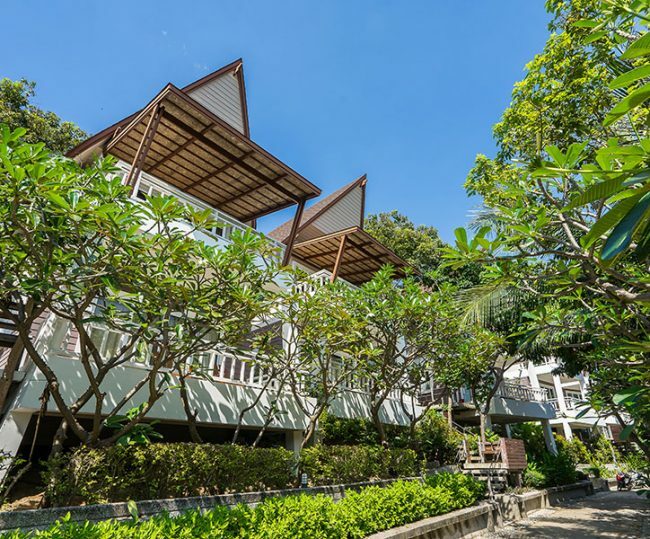 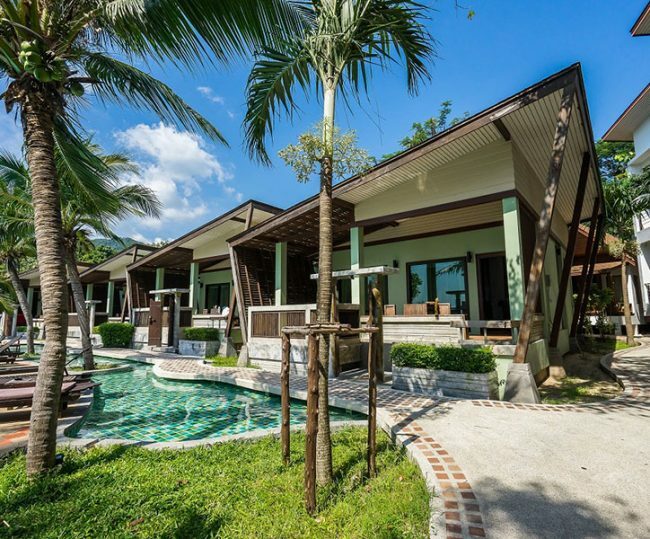 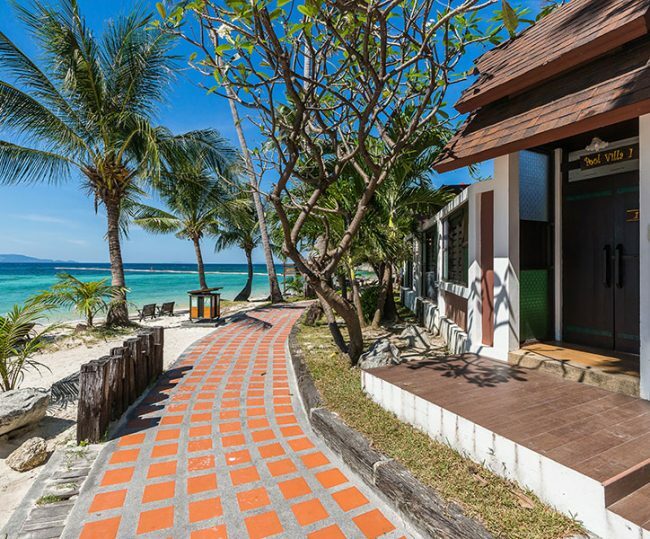 The location is perfect for beach lovers just a few steps away from the sand. 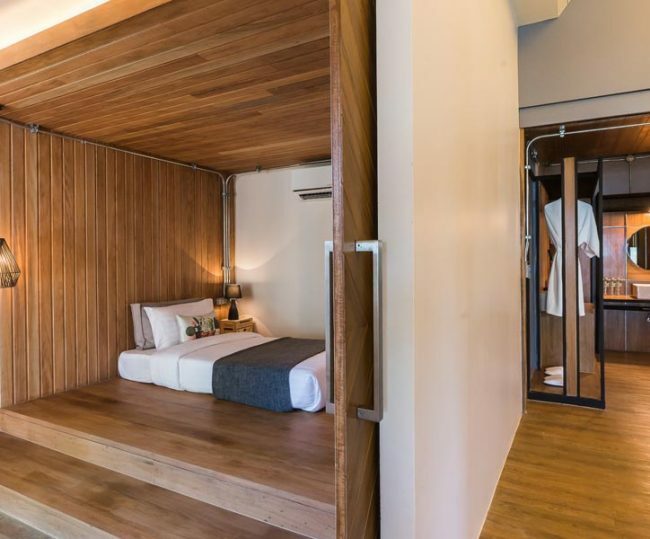 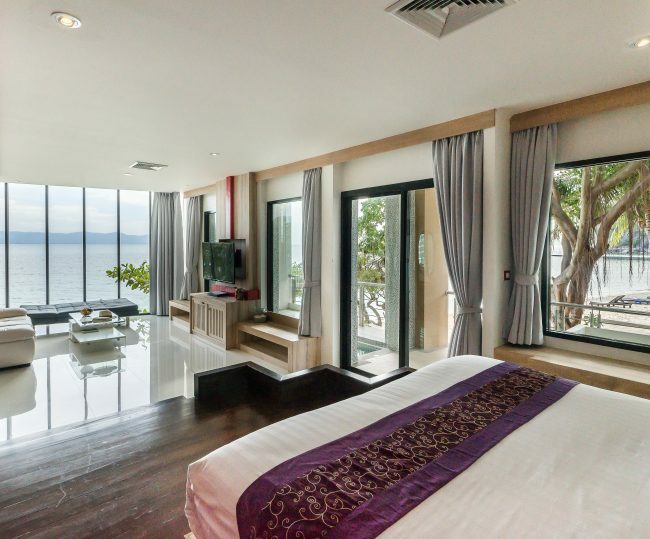 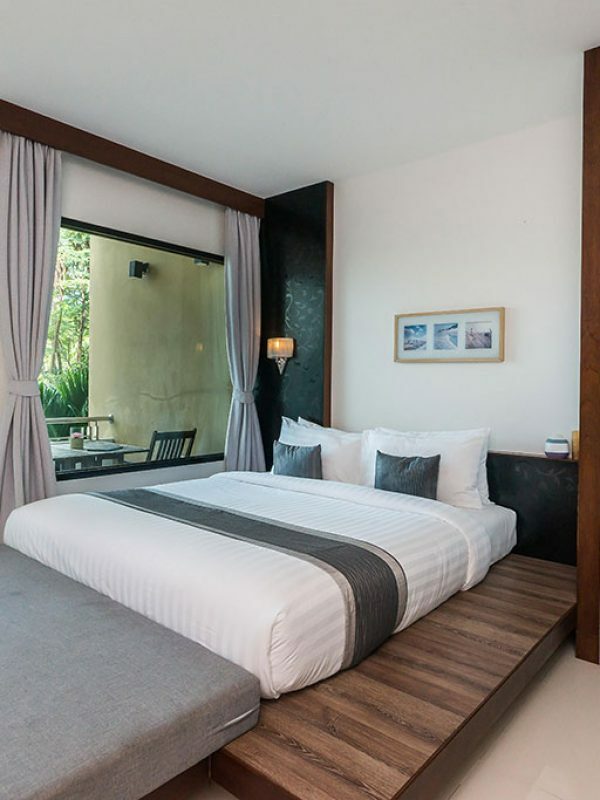 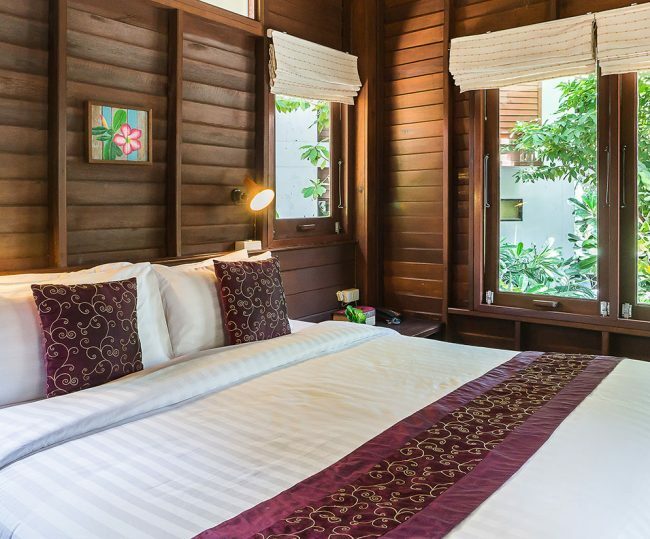 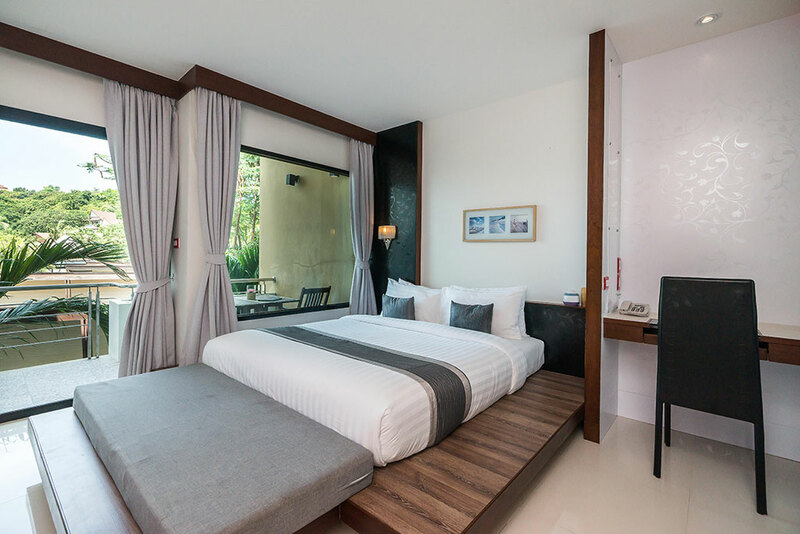 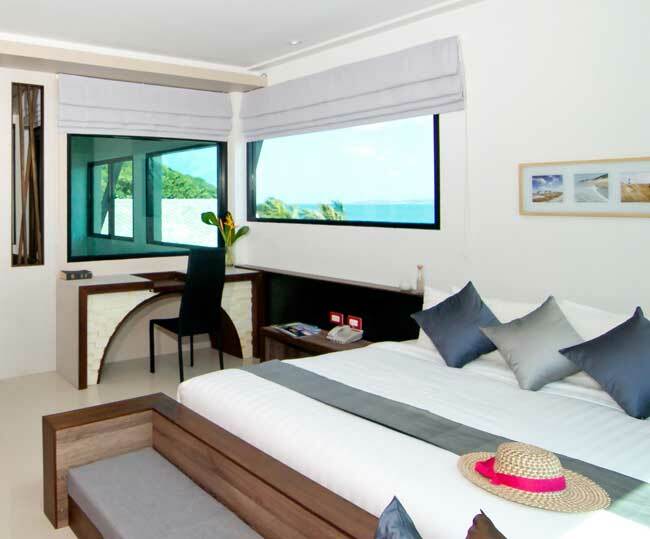 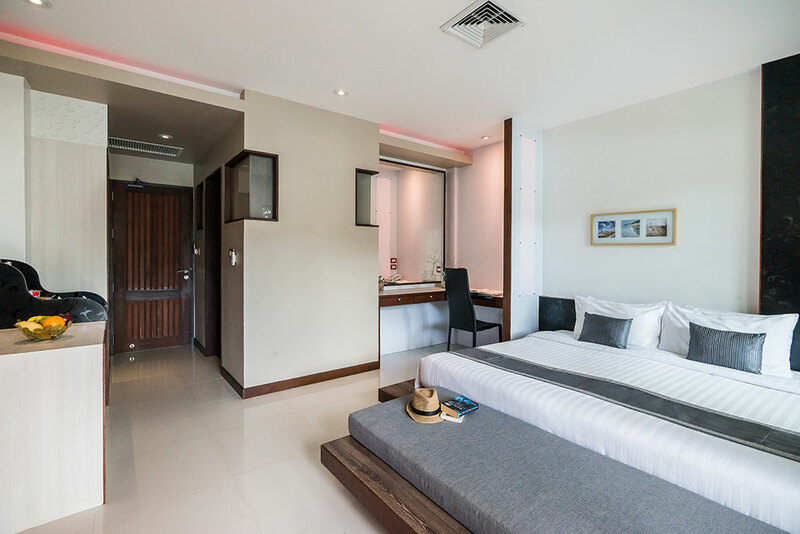 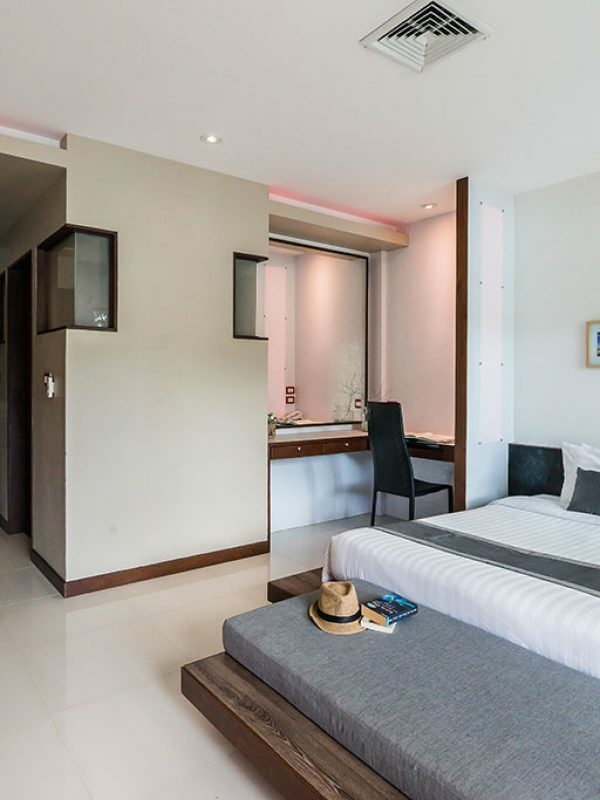 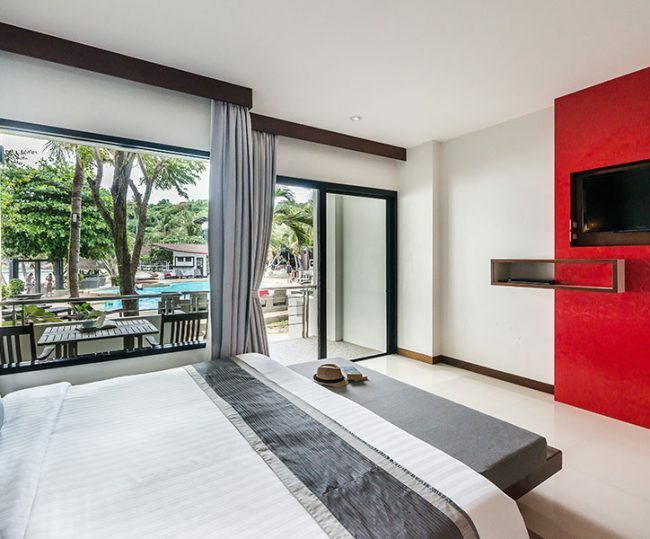 The rooms have a modern design with a king-size bed or twin single beds, desk area and day bed to kick back and enjoy life in Koh Phangan.